Asphalt shingles are the most common roofing material in North America because they appeal to most aesthetic demands and budgets. If you’re planning to reroof with them, it pays to know their main varieties to choose the right product for your unique needs. Three-tab shingles come in only one tab size and shape. They feature a single flat layer, making them look simplistic and not too dimensional. They’re also lightweight because they are comprised of minimal material content. 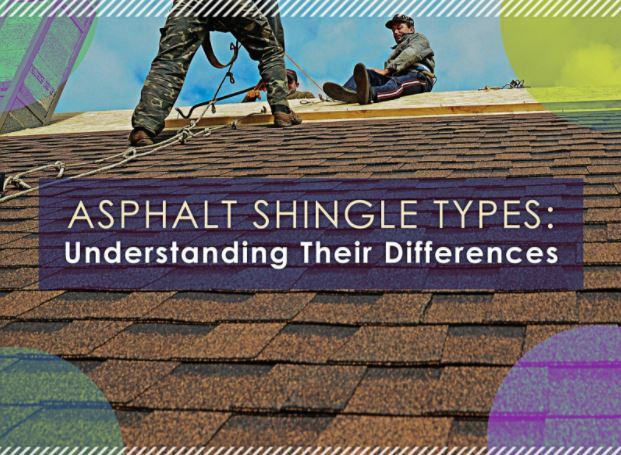 By and large, they’re the most economical asphalt shingle roofing choice. Three-tab shingles are traditional, but their stock has diminished over time with the advent of heavier and more durable products. Compared with their three-tab counterparts, laminated (or architectural) shingles are heavier and look more dimensional. They consist of different tab sizes and shapes, allowing them to resemble slate and wood shakes more realistically while staying low-cost. Their extra heft allows them to deliver superior wind-uplift resistance. Thanks to their upsides, their popularity across America is off the charts. Naturally, they come with better warranties and add greater value to homes. So, if you love the look of slate or wood roofing but not the price, then laminated asphalt shingles make an excellent alternative. Designer asphalt roofing shingles take the beauty of laminated ones to the next level. They’re available in striking profiles and above-average thicknesses for ultra-dimensionality. They come in high-end colors too, giving home exteriors an upscale appearance usually expected from a slate or wood roof. Furthermore, specialized designer asphalt shingles have exceptional qualities to deliver impact resistance or solar reflectivity. An excellent case in point is CertainTeed’s impressive line of Luxury Shingles. Let Rogers Roofing help you choose the best asphalt shingle product for your home in Hammond, IN, or Evergreen Park, IL. Contact us today to talk about your roof replacement project in detail and get a FREE estimate.